Hello, everyone! Andrea here from Reading Toward the Stars with an easy way to help students learn new comprehension strategies. One of the things I learned in my many classes for my Master's was to use familiar text to help with learning new comprehension strategies. It makes total sense! If the student is learning a new comprehension strategy, we as teachers don't want them to be bogged down in decoding the words of a story and then trying to show what they know. Instead, we can introduce the comprehension strategy by having the students read or listen to a familiar story. I like to use fairy tales because students have heard them many times before. One of my favorites to use is "The Three Little Pigs". Students know the story and understand what is happening because they have heard it so many times. And, even though there are different versions, most of them follow the same ideas. 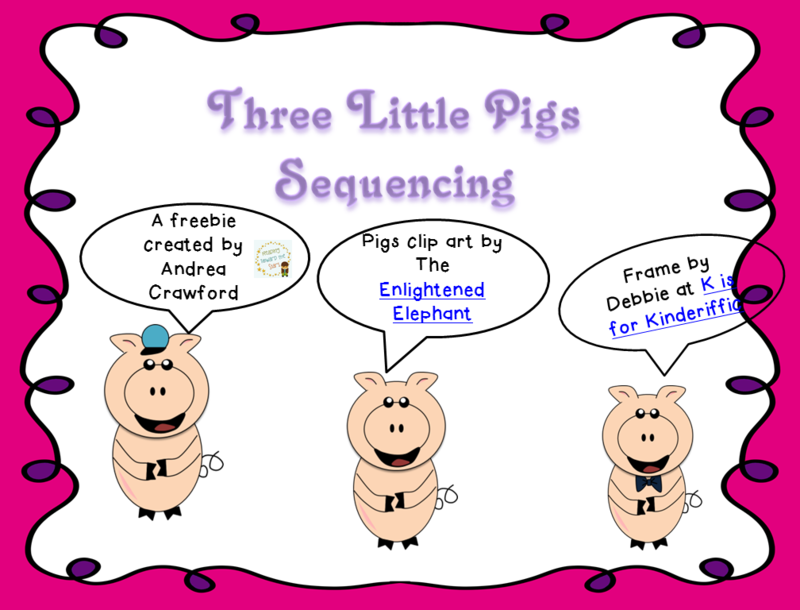 After using "The Three Little Pigs" to help students with sequencing and learning a new way to show it, I would move on to another narrative story that would be interesting to the students. This scaffolding will helps students gain a better understanding of retelling and sequencing a story. As students read less familiar topics, they will still hold the idea of how to show the sequence of the story. How do you help students learn new comprehension strategies and skills? I agree completely! I often use pictures to help students understand inferring and main idea. Yes, those are great for helping students as they learn new comprehension skills and strategies too. And especially for those toughies! Thanks for sharing! I love this for teaching sequencing and retelling - thank you! You are welcome! I hope your students enjoy it!